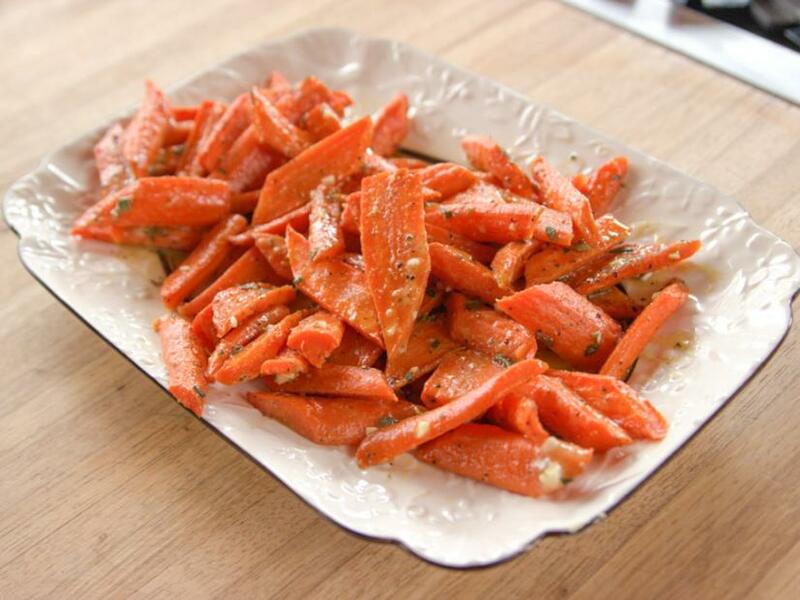 Cut the carrots in quarters lengthwise, then into 2- to 3-inch pieces. 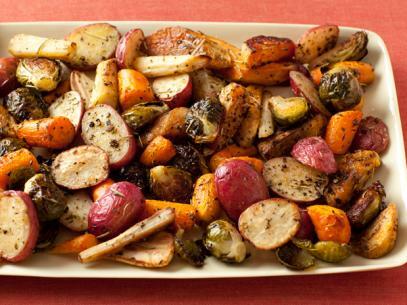 Spread them out onto 2 baking sheets. 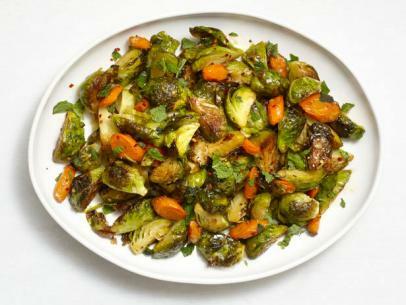 Toss with 2 tablespoons of the olive oil and season with salt and pepper. 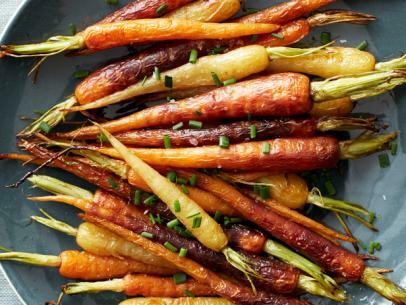 Bake, tossing them once or twice, until the carrots are tender and brown along the edges, about 15 minutes. 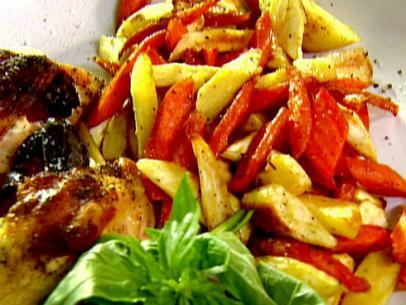 Add the vinegar, mustard, garlic, thyme, rosemary, some salt and pepper and the remaining 1/4 cup olive oil to a jar and shake to emulsify. 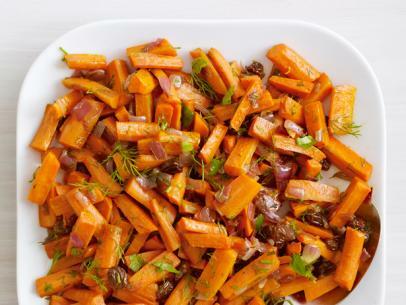 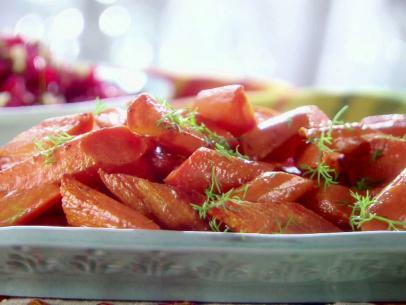 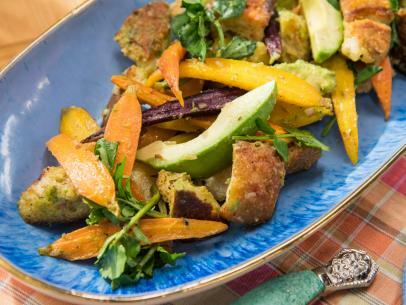 Transfer the carrots to a dish or platter, pour over the vinaigrette and serve. 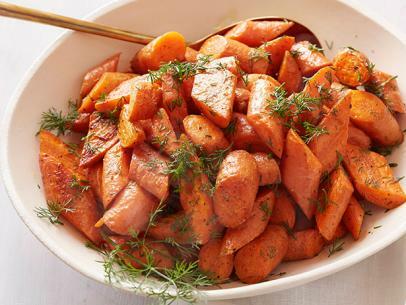 The carrots will keep for 2 days in the refrigerator; serve at room temperature or reheat.